Today it is my pleasure to Welcome author Trish Milburn to HJ! Hi Trish and welcome to HJ! 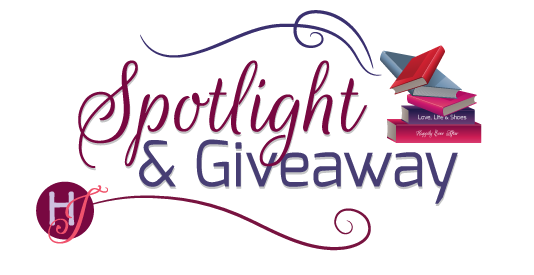 We’re so excited to chat with you about your new release, The Cowboy Next Door! Wes McQueen has always been a casual dater, not in any hurry to settle down with one woman. But that begins to change when he meets his new neighbor, Claire Moon. But all Claire wants is to be left alone to make and sell her jewelry, to live away from the eyes of others following a fire that left her scarred. But her resolve to live a solitary existence is shaken every time Wes looks at her and doesn’t seem to even see her scars. Most people’s to-do lists were long on Monday mornings. Claire Moon’s was downright scary. As in approaching the length of the U.S. tax code. The part of the story that deals with Claire having scars from a fire was actually part of an idea I had quite some time ago for a young adult novel, but that book never came to fruition. I like stories that have some connection to classic fairy tales, so that’s why I gave this Once Upon a Western series such ties. Thus, the name of the series. And I like taking those fairy tales and twisting them to present them in new ways. So, here, you have a Beauty and the Beast tale, but the “beast” is actually the heroine and she’s not a literal beast but sometimes sees herself that way because of her injuries. Wes McQueen is the brother who teases the other two, a bit more free-spirited and not tied down. But we all know what happens when we find the right person – we figure out that being with that person is more important than just about anything else, and we’re willing to change to be with them (though not TOO much; we don’t want to lose ourselves). Also, I have always loved the concept of starting over. It features in a lot of my books. So I had Claire Moon pick up her life and move to a new state where she knows no one, going from being a city girl to a country girl. Little did she know she would find the love of her life, too. Most people’s to-do lists were long on Monday mornings. Claire Moon’s was downright scary. As in approaching the length of the U.S. Tax Code. One thing that wasn’t on it, however, was chasing cows out of her garden, but that’s exactly what she was doing. She probably looked like some sort of lunatic dressed in a ratty T-shirt and shorts she’d had since college, wearing flip-flops she was doing her best not to trip over, and wielding a broom as she yelled at the beasts to stop nibbling and trampling her zucchini and tomato plants. Luckily no one was around to witness her display. Of course that was by design. That we don’t have to be physically “perfect” to be worthy of love, that it’s always possible to find someone who loves you for more than a pretty face. To enter Giveaway: Please complete the Rafflecopter form and Post a comment to this Q: What is your favorite retelling of the Beauty and the Beast story, whether it’s a book, movie or TV show? Claire poured aglass of cold water and held it to her forehead before taking a drink. She’d spent the morning removing her kitchen cabinet doors and stripping the putrid green paint from them in the backyard. It was as if the previous owner had bought paint because it was on clearance with no thought as to why the unfortunate color hadn’t been a big seller. Since purchasing the small ranch, she’d become the queen of watching DIY home improvement videos online. When she’d first seen the place she now called home, she’d understood why it was priced so much lower than everything else in the Paradise Valley. Most had been so out of her price range it’d been laughable. But Emmaline Varton, her real estate agent, had said that the acreage wasn’t enough to interest ranchers and the state of the house turned off everyone else. Claire had gotten the impression that Emmaline had almost wanted to kiss her or name her firstborn after Claire when she’d signed all the paperwork to buy the place. Claire had seen the possibility beneath the ugly exterior. And one couldn’t beat the view of the towering mountain ranges paralleling the Paradise Valley. Texas had mountains, but they weren’t these kind of mountains—craggy, forbidding but also beautiful. These were the kind of mountains you knew could kill you if you weren’t careful but were also stunning in their beauty. The peace and quiet she’d found here even outweighed the views. And whoever had first called Montana Big Sky Country couldn’t have come up with a more apt description. She’d never seen so many stars at night in her life. The valley lived up to its name…if you overlooked the occasional case of wayward cows. Thoughts of the cattle invasion refocused her on the next task awaiting her. Now that the cabinet doors were all stripped and drying out back, it was time to clean up the mess the McQueens’ cows had left behind. But as she stepped out onto the front porch, she spotted a pickup truck turning into her driveway. She slipped back into the house and locked the door. Hopefully whoever it was would figure she wasn’t home if she didn’t come to the door despite the fact her car was sitting outside. But when the driver parked and got out, she saw that it was none other than Wes McQueen. And he was headed straight for her front door. She sidestepped out of view, inadvertently bumping into the small table that held her keys. They rattled in the small dish that also held several coins. She cursed silently, hoping Wes hadn’t been close enough yet to hear the racket. Even though she knew he was there, her heart jumped when he knocked. She closed her eyes and tried to slow her breathing. If she stayed quiet, he’d leave and maybe this time he’d stay away. The last thing she needed as she rebuilt her life was to have someone as breathtakingly handsome as Wes seeing her. Even if he was a decent guy, she had not one smidgen of doubt what his reaction would be. Experience was a brutal teacher. In all honesty, before the fire she would have likely reacted the same way if she’d unexpectedly encountered someone whose face appeared to be partially melted. She was proud of the fact that she didn’t cry about it anymore, but in that moment she felt the sting of tears. It rocketed her back in time to when she’d felt not only physically raw but emotionally as well. In a matter of minutes, her entire life had been turned upside down, irrevocably changed, and in this moment she hated Wes McQueen for making her relive those feelings. “Claire?” he said after knocking again. Was it her imagination, or did he sound a bit concerned? Yes, definitely her imagination. Despite the fact that she had deliberately turned into a loner, at least for the present, she couldn’t deny that she missed interactions with other people, hanging out with friends, going on dates. Prior to the fire, she’d loved meeting new people, learning about them, whether it was at the arts and crafts shows she attended or waiting in line at the DMV. But she’d heard one too many hurtful comments, received one too many shrinking-away looks, in the wake of the fire. A few more seconds ticked by, but Wes didn’t knock again. Though she was grateful when she heard him descend the front steps, she had to admit there was a part of her that wanted to swing open the door and ask him to stay. Though she kept busy, her full schedule didn’t always keep the loneliness at bay. And their brief interaction earlier had made her wonder if she’d be like this the rest of her life or if she’d gradually find a way to not care what people thought or how they reacted. She realized that though Wes should have been able to retrace his steps by now, she didn’t hear his truck engine. Careful not to reveal herself, she peeked out the window again and saw him lifting what appeared to be tomato plants from the bed of his truck. So he’d made good on replacing her damaged and destroyed vegetable plants. She’d have to send him a thank you note and hope it didn’t prompt him to make a reappearance on her front porch. She couldn’t hide in her house every time if he kept showing up. That wouldn’t just look suspicious. It’d look downright weird. She ducked back out of sight when Wes turned and headed toward the porch again. A thud told her when he’d placed the potted tomato plants down. She listened as he continued traipsing back and forth from his truck. When she lost count how many times he’d made the trip, she began to wonder if he’d bought out the nearest garden center. So he obviously didn’t understand the meaning of her earlier “That’s not necessary” statement. Or he’d just chosen to ignore it. Did he think she might pursue legal action? She supposed that was a valid concern. People sued for the most asinine things. Sure, sometimes it was necessary, but others it was just a way for people to try to get rich with little or no effort on their part. Metallic clanking made Claire realize her thoughts had veered off in a different direction. What the devil was Wes doing out there? She ventured another look and saw him pulling a hoe and rake from the bed of the truck. She was still staring when he actually slid a wheelbarrow to the ground. Surely he hadn’t bought those for her, too. What was she supposed to do now? The last thing she wanted was for the handsome neighbor to see her. As crazy as it might be considering she’d basically told him to stay away, the idea of him doing so only because he caught a full view of her hurt. But she couldn’t deny that another part of her very much wanted to march outside and tell him to get off her property. She’d barely met the guy, so it was highly annoying that he had already managed to get her emotions so tangled up. She couldn’t remember the last guy who’d done that, and this wasn’t even the good kind of tangled emotions. Wes tossed the gardening tools into the wheelbarrow and headed toward her remnants of a garden as if it was the most natural thing in the world. Careful not to make herself visible, Claire eased across the living room so she could see out the west-facing window. As she watched, Wes McQueen did the unbelievable. He began cutting away and raking up the ruined plants, filling the wheelbarrow with them, and then rolling it to the edge of her property and tossing the vegetative detritus over the fence. She shook her head slowly, seemingly unable to move in any other way as she watched him. She should really stop him, but what she was witnessing was just so surreal she halfway thought she must be dreaming. And if this was a dream, she wanted to watch just a little while longer. Once Wes was done with cleaning up the damage, he set to work putting the new plants in the ground. For a man used to cattle ranching, he seemed to know his way around a garden as well. 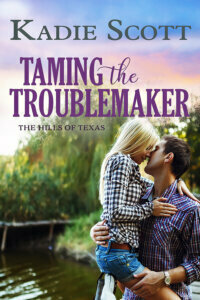 When he paused and pulled off his cowboy hat to wipe sweat from his brow, her breath caught. Even dirty and sweaty, Wes McQueen was a sight to behold. Handsome face, lean build, and a fantastic set of tanned forearms. She’d always had a thing for men’s arms. Forget fancy suits. Have a man roll up his shirtsleeves to reveal his lower arms and she was a goner. She licked her lips and forced herself away from the window. After downing another glass of water, she stood at the sink and considered her next move. Despite the fact that it had been his family’s cattle that had ruined her garden, he’d already done more than enough to repay her. Instead of giving in to the temptation to watch him work some more, she took a deep breath and headed out the front door. As she reached the end of the porch, she allowed her hair to fall forward again to cover the left side of her face. She didn’t even have to think about it anymore. It was as much an involuntary habit as breathing or blinking her eyes. Before she spoke, she allowed herself to watch Wes just a few more moments because soon he’d be gone and she might very well never see him again. She’d go back to being alone. She tried reminding herself that’s what she wanted, but it wasn’t as easy to convince herself as it had been before today. Wes looked up from where he was turning a row of dirt with the hoe. He tipped back the front of his hat and smiled. Damn, why did he have to have one of those smiles that made women’s skin heat? Claire eyed him, trying to deduce the meaning behind the statement. Was he flirting with her? A thrill went through her at the idea, especially when she’d thought—knew—that her days of catching the eye of a handsome man were behind her. But then she remembered that any possible attraction was based on a lie. Fighting the growing lump in her throat, she lowered her gaze to the potted plants at her feet. Was this guy for real? Choosing to take him at his word, she lifted her gaze to his and wished she could make out his eye color. But the shade of his hat and the distance between them prevented that. Was he giving her an out because he could tell she didn’t want to get any closer to him? “Yeah. I can tell a single guy lived here, no offense.” Actually, she didn’t know if Wes was single or not. It was hard to imagine, but then she didn’t think a wife or girlfriend would be fine with his being here helping her without being asked or paid. Wes laughed, and hearing it filled up Claire’s heart with a light she hadn’t felt in a long time. “No. This is actually my first house.” Now why did she volunteer that bit of information? How did he know she wasn’t used to “actual winters”? “Why do you live here?” she asked, deflecting so she didn’t have to go into personal details. “Our family has been here since before Montana became a state.” He looked at her as if to say your turn. Claire didn’t wait for a response, instead turning and hurrying into the house. She’d probably just added evidence to Wes’s running list of why his new neighbor was crazypants, but if she’d stayed out there much longer she feared she might have divulged her entire life story. She made her way to the kitchen and pulled a glass out of one of the doorless cabinets. As she filled it with water, she tried to convince herself that it was only having someone invade her space that had her so jittery. Any woman with any sense would feel the same if she were alone with a strange man just outside her house. If Wes McQueen had fallen out of the ugly tree and hit every limb on the way down, she would feel the same. Yes, she’d be uncomfortable around anyone, but not once since the fire had she warred with herself like this—one half wanting to hide while the other wanted to have her old face back so she could get to know Wes better. There was just something about him that pulled at her, and it surprised her how much she had to fight it. She lifted her hand to the marred half of her face to remind herself that there was no going back. Her new reality was a home of her own in a gorgeous valley, a thriving business that allowed her to work from that home, and gratitude that she’d survived the fire at all. Two of her neighbors in the apartment complex hadn’t been so lucky. But her new reality didn’t include men like Wes McQueen. Shoving away the attack of self-pity, a feeling she despised, she went back outside. “Thanks.” He didn’t make any move in her direction. Knowing she should be thankful for that fact, she nonetheless felt disappointed as she retraced her steps. Despite what she’d told him, she had a hard time concentrating on the necklace she was making for a customer. She kept dropping the beads and having to get down on the floor to retrieve them. She was underneath her work table when someone knocked on the front door, causing her to bang her head on the underside of the table. “I’m done,” Wes said through the door. He didn’t respond immediately, and she didn’t crawl out from under the table. She was suddenly too tired to make the effort. Another pause, probably as Wes wondered why the crazy lady wouldn’t at least come to the door even if she didn’t open it. Before she could respond, she heard his boots clunk across the porch and down the front steps. Shortly after, the engine of his truck started up and she listened as he drove away, leaving her alone once again. And for someone who claimed that’s what she wanted, her little slice of the world suddenly felt mighty empty. Since it washis dad’s poker night with his buddies, Wes ordered a pizza as he drove away from Claire’s house. Though she’d spoken to him, she’d still kept her distance. He hated the idea that she might be scared of him, so he’d kept his as well. He found himself wanting to know if she was just naturally skittish or if there was a reason for her to be afraid. His hands gripped the steering wheel harder at the thought that some man might have hurt her. It didn’t matter if he barely knew her. No woman deserved to be made scared of a man. Maybe now he owed her an apology for frightening her. When he pulled into the Springs Pizza parking lot a few minutes later, he spotted Emmaline coming out the door with a pizza of her own. “It’s not you.” Emmaline averted her gaze, looking uncomfortable. So it wasn’t because of some guy in her past. Or was it? His stomach turned at the thought that someone could have deliberately burned her. But he shouldn’t jump to conclusions. Maybe she’d been in some sort of accident. But even after he had his pizza and was driving home, he couldn’t stop wondering about Claire and what had happened to her, how sad it was if she was hiding herself away from the world. But Emmaline was probably right. All the evidence he’d seen also pointed to the fact that Claire just wanted to be left alone. And he wasn’t one to force attention where it wasn’t wanted. Still, when he got home and plopped down on the couch, he pulled out his phone and did a search for the website Emmaline had mentioned. He didn’t know a lot about jewelry, but he recognized that some significant effort and talent was involved in what she created. But after skimming the entire site, he didn’t find any photos of Claire. Not one. For all anyone visiting the site knew, Claire Moon could be an old dude sitting around making jewelry in his boxers and undershirt. He shuddered at that mental image then did a search for just her name. It took some scrolling but he finally found a photo of her at an artists’ fair. The first impression he got was free spirit. The way she was dressed in a flowing top, the dangling earrings she wore, the way she’d decorated her booth all spoke to her being an artsy, creative person. But it was her smile that took his breath away. She looked genuinely happy in the photo as she talked with a customer, completely different from his few interactions with her. A few more minutes of searching led him to a news story about an apartment fire the year before. Two people had died and several were injured. And there was Claire’s name, listed among the seriously injured. He continued to read and felt his anger flare when he got to the part that revealed that the owner of the apartment building knew there were issues with faulty wiring and had not fixed it, leading to the fire. A fire official on the scene said that while the deaths were tragic, he’d expected the toll to be higher. Wes tossed the piece of pizza he’d been eating back into the box, his appetite gone, replaced by rage toward a man he didn’t know on behalf of a woman he barely knew. He navigated back to his home screen and tossed the phone onto the couch next to him. Though he’d now gotten answers to his questions, he felt as if he’d pried where he shouldn’t. He felt as if he had yet one more thing for which to apologize to Claire. But Emmaline’s words echoed in his head. He should just leave Claire alone because that’s evidently what she wanted. For a moment, he imagined his mother sitting next to him, patting his hand, telling him the same thing. He leaned his head back and closed his eyes, missing his mom all over again. Though with each day he got more used to her being gone, he didn’t think he, his brothers or his dad would ever stop missing her. He wondered if Claire had any family. If she did, what did they think about her up and moving to rural Montana? The front door opened, startling him from his thoughts. “Any of that left?” his dad asked with a nod toward the pizza box. Honestly, he’d forgotten about the fence and who might have vandalized it. “You dole it out, so you can take it,” his dad said with a teasing grin before taking a big bite of pizza. “You’re home early tonight, too.” For a moment, he worried that perhaps his dad had lost quick and big at the poker table, but he stopped himself. Those self-destructive months following Wes’s mom’s death were behind them now, thank goodness. “That right?” His dad chuckled, and for the first time in his life Wes was annoyed that someone’s first assumption was that he was making a play for a woman. A grunt of acknowledgment was the only response his dad gave him. Wes wasn’t sure why, but it was the final irritant in a day full of them. His dad was right about one thing, though. Wes normally gave as good as he got with teasing, but for the first time in ages he wasn’t in the mood for it. He kept asking himself why as he left his dad with the pizza and headed toward the bathroom to take a shower. It wasn’t until the hot water was washing away the dirt and sweat of another day that the answer hit him. Teasing and joking just seemed wrong, even tangentially, when it was related to a woman who could have very well died in the fire that had nonetheless changed her life forever. Despite the loss of his mother and the occasional hiccup in his own life, Wes realized just how lucky he’d been throughout the years—and how much he’d taken it for granted. Well, that stopped right now. Claire Moon might not want him intruding in her life, but he could still use their brief interaction as inspiration to be a better, more appreciative person. Maybe it was time to stop acting like he was still a rambunctious guy in his teens or early twenties. Maybe it was time to be a bit more like his brothers—responsible, serious…adult. Claire Moon moved to a small Montana ranch for peace and solitude after barely surviving a tragic fire. A jewelry maker, she used to travel extensively to sell her work, but now prefers only online sales. Her quiet existence is imperiled when escaped cattle tromp through her yard and garden. Claire is unable to avoid meeting her handsome rancher neighbor who arrives to remove the cattle, and when he turns on the apologies and the charm, she’s not really sure she wants to. 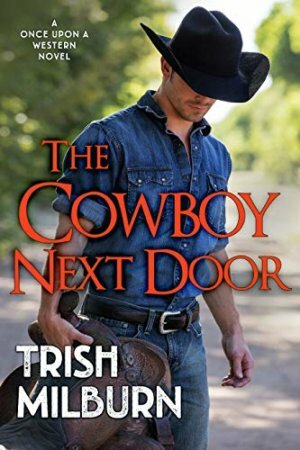 Cowboy Wes McQueen feels guilty when his family’s cattle make a mess of his new neighbor’s property, especially when he finds out it’s his fault. But when he tries to make it up to Claire, she’s very shy and resistant. Still, he finds himself determined to make amends, and the two form a tentative friendship—a friendship that unexpectedly blossoms into more. Despite Claire’s reluctance to rejoin society, Wes is determined to make their relationship work. 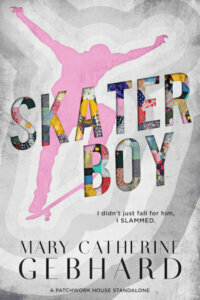 He realizes that he’s like his father in more than one way—when he finally falls for a woman, he falls hard. And there’s no going back. I like the original Disney animated Beauty and the Beast movie. HEART’S BLOOD by Juliet Marillier is a fabulous read. I like Beauty by Robin McKinley. Beauty by Robin McKinley and the movie with Emma Watson. I can’t think of one right off the top of my head, but I look forward to reading this book. I have not come across any books with the retelling of beauty and the beast. I have come across a book of the retelling of cinderella. I haven’t seen or read anything that I liked better than the original Disney movie. I did enjoy Emma Watson’ version. My favorite though is the animated Disney version. The most recent Beauty and The Beast trope I’ve read is In The Corsair’s Bed by Ruby Dixon as I can’t pick a favorite. I loved the tv show. There are SO many excellent ones! But I do love the Disney animated one. I loved the TV show with Ron Perlman as The Beast. My favorites are Beauty by Robin McKinley and the movie version with Emma Watson. My favorite is the Disney version. Beauty and the Beast is my favorite trope. I like everything I have read that is based on this story line. My favorite is still the animated Disney version of Beauty and the Beast. I love reading and watching all different versions of Beauty and the Beast but the original will always be my favorite. I like the movie with Emma Watson. the Disney animated~live action movie. was beautifully done. Beauty and the Beast TV series (Linda Hamilton & Ron Perlman). I liked the old tv show. I don’t remember what yr it was on.